As people age and enter the winter of their lives, concerns around hearing loss naturally arise. On the other hand, this apprehension is non-existent among the fervour that surrounds a newborn baby. And why should there be, right? Unless there’s a family history of it, who would take the time to consider the possibility of hearing loss in babies? Well, however small the chance, the fact remains that hearing loss can and does occur in babies. As such, being able to spot early signs of it is something all parents should keep in the back of their minds as their child grows. How soon should I check? Since hearing is a core part in speech development, you’ll want to take note at in intervals like 3-months, 6-months, and up until they’re about 12-months old. This ensures you’ll pick up possible issues early so it can be treated promptly. 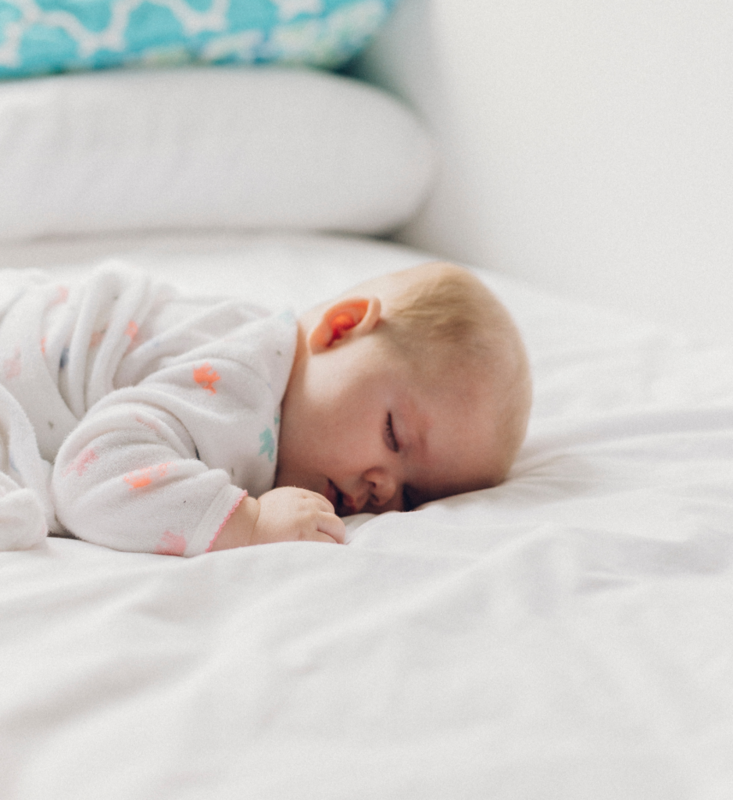 There could be a chance that your baby is really a sound sleeper, or perhaps just doesn’t react to noise the way people say they should. So there is no need for serious alarm if they do display any of the following signs. Not disturbed by loud noises: Newborns will get easily alarmed at an abrupt, loud noises. So if a door suddenly slams or an alarm goes off – they should react and even cry. No recognition of sounds: As newborns grow, they’ll start to react to sounds around them, such as music, talking, television, and so on. They may stir at these new noises as they get used to them. No comfort in a soft voice: By the time your baby is 3-months old, they can distinguish a soft voice as a comfort mechanism. So a gentle song or soft cooing should lessen any distress when heard. Not able to distinguish you: At the age of 6-months old, your baby should “know” your voice when you speak. This means when you say something, you’ll expect their eyes to lift, or even their head to tilt, toward where you are. Doesn’t turn towards noises: As they continue to develop, your child should naturally look up to where a sound is coming from, or turn their heard towards a noise that they can’t see in front of them. Doesn’t always react: Children are curious creatures, so if a sound occurs – they will react, even if soft or faint. Doesn’t babble themselves: As they approach a year old, your baby should be ‘babbling’ out noises and sounds to themselves, and back to you when you speak. Not speaking: When your child is a year old, you’ll expect them to start uttering some short words like “dada” or “mama”. This is a result of them hearing and mimicking what you’ve said to them in the previous months. There is a lot to consider when raising a child – but don’t worry, you’re not alone! If you need more help and insights about infant hearing loss, then don’t hesitate to contact our team at Best Hearing Aid at (855) 909-9366.